Back when we were kids, adults were always telling us, "Watch your language!" When it comes to stewardship of God's resources and our prayers, that's probably still pretty good advice for us today. One of the great traditions in Western Christianity is passing the offering plate during the service. Usually, this ritual is preceded by a prayer that goes something like this: "Blah, blah, blah, Lord, we want to give to You a small portion of what we have been given... Blah, blah, blah, Amen." Myth #5: Stewardship is us giving God a portion of what we have. Let's unwrap that prayer and see if you don't see what I'm trying to say. There's really only one thing right with that prayer. It's when we say, "Lord." God is Lord over everything, so when we say "...we want to give You...", that doesn't work because everything is already His. Really, there is no money or material that He needs or wants anyway. We can't give Him anything. But the prayer continues, "We want to give you a small portion." Really? I mean if He really is the Lord, why do we want to emphasize the smallness of our gift to Him? We are either admitting that this is an extremely small portion compared to the blessings that He has given us, or it sounds like a confession that our gift is a small portion of everything that we own. Either way, the attitude behind this sincere and holy sounding prayer really concerns me: those who believe myth number five essentially say, "Here's a little bit, God, but I'm keeping everything else for myself." It almost sounds like God is supposed to be really appreciative that He got anything at all. What is biblical stewardship? Stewardship is God giving us a part in what He is doing. Stewardship is not us helping God (like He needs any help at all!). It's an incredible opportunity, and a gift from Him, for us to be involved in something that matters beyond the material, beyond the financial. Jesus, please enable me to watch my language. Help me to listen to the words that I use so I can discover the meanings and motives behind them. Let me replace the myths I have about money with the liberating truth of Your Word. Everything is Yours Lord, including me. Thank You for the privilege of being a part of distributing Your resources for Your glory. Amen. Experience unshakable peace no matter what you face! 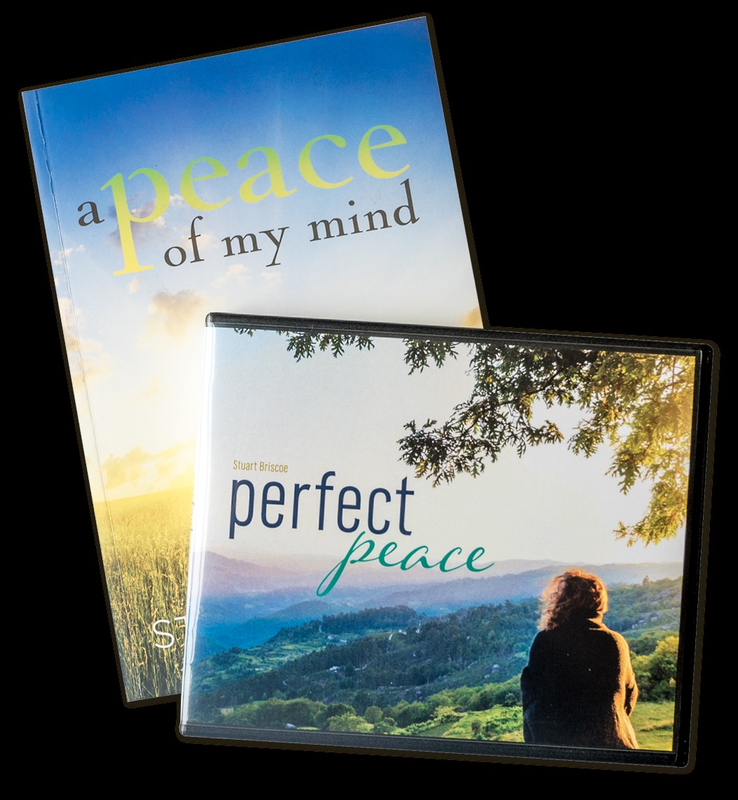 We want to help you experience God’s perfect peace in every season, by sending you Stuart Briscoe’s book, A Peace of My Mind, and his 2-message teaching, Perfect Peace. They’re our way to thank you for your gift today – doubled by a Matching Grant – to help Telling the Truth reach a critical $600,000 financial year-end goal by June 30.